‘Creating emptyness’ from THE FLOATING SPIRIT OF FRANK VAN KLINGEREN Featured in this publication. This book followed a series of exhibitions at Stroom Te hague about the creation of value through invitation, improvising and uniting. Under the title ‘Facing Value. 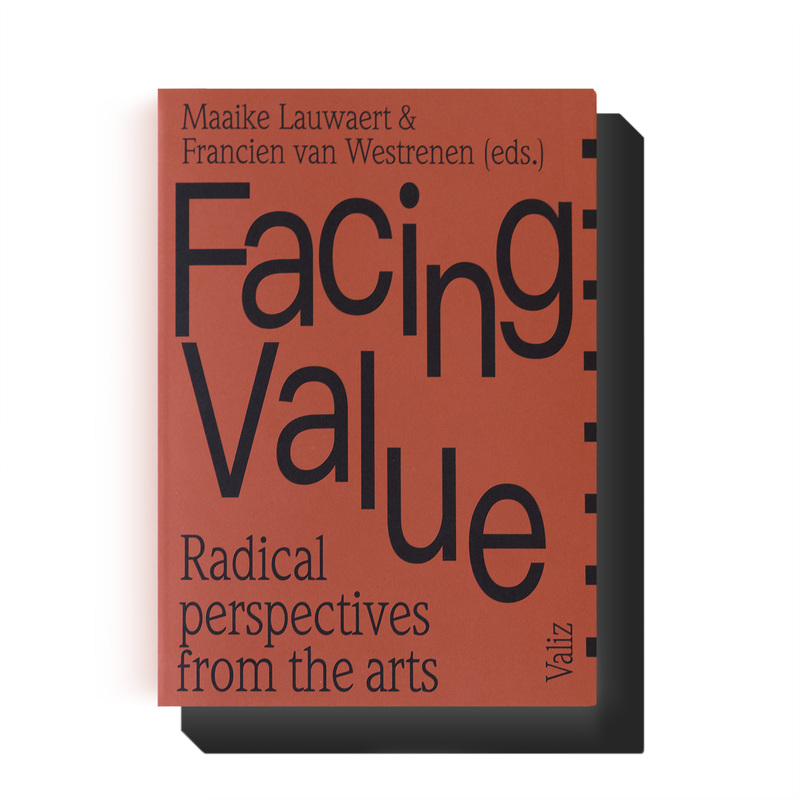 Radical Perspectives from the Arts’ the authors explore the possibility of a world based on value, where rules as unproductivity, sharing and support are key; trying to reformulate value as a constituting factor in an open and caring society. And with their bold and clear graphic design Elisabeth Klement and Laura Pappa tied it all together into a light and logical whole.